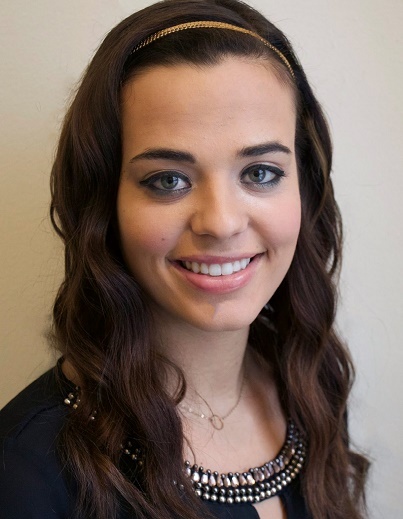 Also affectionately known as "Gabby Gulpwater®"
We are thrilled to Gabriella Scuderi, a rising junior at Syracuse University, as a valued member of our Gulpwater® Team serving as our Upstate New York Hydration Ambassador. Her passions are about "active" things healthy. Gabrielle runs, swims, cycles, skis, plays lacrosse and is a certified lifeguard. Having a major in public health is both a reflection of and a catalyst for her passion for the wellbeing and health of all people. She is fascinated with the way lifestyle choices impact our lives, and determined to be a part of helping people make the decisions that will affect their lives in the most positive way. Gabby has already been involved in several organizations with this aim- YMCA, Healthy You Magazine, Nutrition Education & Promotion Association, and several health and nutrition companies, she found The Hydration Education Foundation to be a natural fit. A place where she could help people make a simple but important decision - to drink water - was perfect for her to continue the promotion of healthy ideas and helpful practices. Her goal is to spread the healthy Hydration Education Gulpwater® Message to students, parents, teachers, donors and sponsors.